What is the sentence for domestic violence first offense? Of all questions our Michigan Domestic Assault Attorneys are asked on a daily basis, inquiries regarding the likely sentence for a first offense charge of domestic violence is one of the most common. In Michigan, a misdemeanor charge of domestic violence first offense is punishable by a maximum sentence of 93 days and up to a $500.00 fine. Just because jail is possible, it does not mean that the judge at sentencing will impose jail. In fact, when a domestic violence specialist handles a case, jail is most frequently avoided. There are a multitude of complex factors that weigh in relative to determining what sentence is ultimately imposed. The lawyer’s job is to know all the factors and do what is necessary to make certain he has done whatever needs to be done to gain his client the ultimate advantage. What if a domestic violence defendant is guilty? If the defendant is guilty, an experienced lawyer should be able to help their client avoid a conviction and jail for a first offense. That’s right…avoid jail AND a conviction. Although many judges in Michigan, especially in Oakland, Macomb and Wayne Counties, can be tough on domestic violence cases, an aggressive attorney will frequently be able to negotiate a plea bargain that will completely avoid a conviction and jail time. This is not to say such a result is easy, but with proper planning, preparation and persistence, such an outcome can be achieved. What if a domestic violence defendant is not guilty? Many or maybe even most criminal defense lawyers will attempt to convince a client who is charged with a first offense to plead guilty or no contest even if they are guilty. They will advise their client that it is better to accept a plea bargain than risk going to trial and losing. The philosophy at LEWIS & DICKSTEIN, P.L.L.C. is that if a client is innocent and wants to take their case to trial, the gloves come off and we do whatever it takes to maximize our client’s chances of being acquitted. When a client is innocent, the best possible case scenario is an outright dismissal of all charges. What if there is a violation of probation on a domestic violence case? If there is a probation violation on a domestic violence charge, the sentence can be up to the maximum for the original charge (93 days in jail). Again, jail is not a certainty. Depending on the nature of the violation, with proper preparation, planning and persistence, jail may still be avoided. A new charge while on probation may be the worst-case scenario where simple failure to provide documentation of completion of a term or condition of probation may be the least serious. Who the judge and the prosecutor are is really important when evaluating the potential outcomes in a PV. This is where the experience of a domestic violence defense lawyer really comes into play. It is the lawyer’s job to do whatever possible to keep their client out of jail at all costs. What plea do I enter arraignment on a domestic abuse charge? The simple answer is…you don’t. If you can afford to hire a criminal defense attorney to represent and protect you in a first offense domestic abuse case, he will enter the plea on your behalf. It is always better if the defendant remains silent and lets the lawyer do the talking. Generally, the position the lawyer will take is that the defendant “stands mute” (doesn’t say anything relative to the charges and the court will enter a “not guilty” plea on their behalf. Also, the experienced attorney will make an attempt to waive the arraignment so that their client does not have to personally appear in court and be subjected to the judge or magistrate who is likely to impose onerous and imposing terms and conditions of bond. If the arraignment is waived, a personal bond is frequently set. Do I need a lawyer for a first offense domestic violence? If you do not care about jail, probation (with ridiculous terms and conditions) or your criminal record, then no, a lawyer is not important. On the other hand, if the possibility of jail, probation and your reputation are important than you absolutely need an attorney. The law and the U.S. Constitution recognize the critical importance of a defense lawyer by providing a court appointed attorney for those who cannot afford a retained attorney. Judges recognize the importance as well and will question, at length, the judgment of a defendant who declines representation. Can a first offense domestic violence conviction impact a custody dispute in a divorce? Yes. Unfortunately, one of the most frequent sources of false or exaggerated allegations of domestic violence is a spouse who intends to gain an advantage in a divorce or custody dispute. In cases where the custody of a child is at stake, the pressure on the defense attorney to achieve an extraordinary result is at its highest. Should I take my domestic violence case to trial? The answer to this question is often highly complex and depends on innumerable, important factors including: odds of winning, possible impact of a loss, expense, time, stress, employment, licensing, ability to get public benefits or loans, custody and much more. The best outcome in any case is a dismissal and a great lawyer will do everything possible to get domestic violence charges dismissed. When a client is innocent or the evidence is particularly weak, trial may be the best option where dismissal or another acceptable outcome is not possible. A jury is capable of anything so it is often best for the client to avoid a jury trial unless another outcome that is desirable to the client is not possible. When a trial cannot be avoided, the lawyer must do everything possible to win! Do I need to retain a lawyer for a first offense domestic violence or should I use a court appointed lawyer? People often say that the criminal justice system is biased towards the wealthy. This isn’t exactly true but those with the financial wherewithal to hire an attorney often have an advantage because a retained attorney is in a position to achieve more favorable results because of more substantial resources, the assistance of support staff, the opportunity for advanced preparation and the motivation of achieving client satisfaction (as opposed to court satisfaction). The fact is that some retained attorneys achieve substantial success because they are good. Many great lawyers are drawn to a private practice for various reasons. This being said, some lawyers who take court appointments are excellent attorneys but may be so overwhelmed by the quantity of cases they are forced to take in order to achieve a decent income that they are not capable of putting forth their best effort for each and every appointed client. 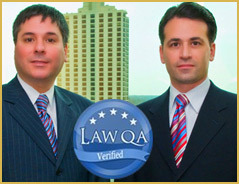 Where can I find a top rated, excellent, highly experienced domestic violence attorney? The domestic violence attorneys with LEWIS & DICKSTEIN, P.L.L.C. have more than a half of a century of combined experience successfully defending men and women charged with domestic violence felony and misdemeanor offenses throughout Michigan. Our attorneys are nationally ranked and ranked in the category of best criminal defense lawyers in Michigan. We offer a free consultation in every case. If given the opportunity, we will do everything possible to help you gain the maximum possible advantage in a case where you are being charged with domestic violence. Please call us for a confidential evaluation of your case at (248) 263-6800 or kindly complete a Request for Assistance Form and we will promptly contact you.